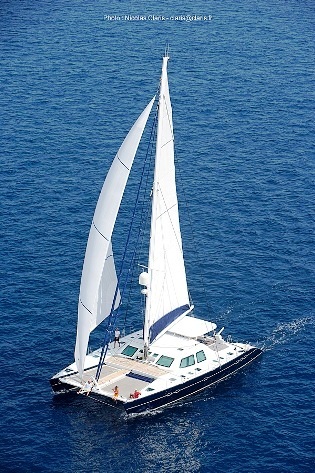 In the Sailing Yacht LEVANTE there is a unique opportunity to charter a luxury catamaran in adventurous locations including Asia and the South Pacific. 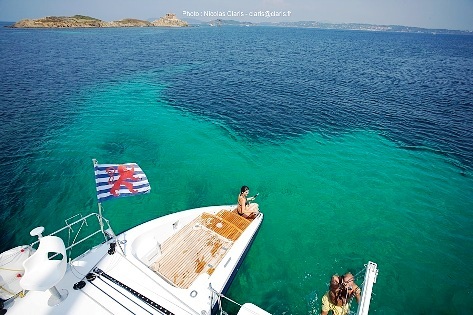 These areas provide truly spectacular cruising in ‘off the beaten track’ locations. 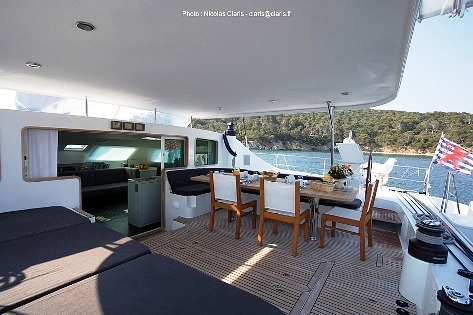 Launched in 2003, this Lagoon is spacious and comfortable with modern entertainment and communication facilities including a full compliment of water toys. 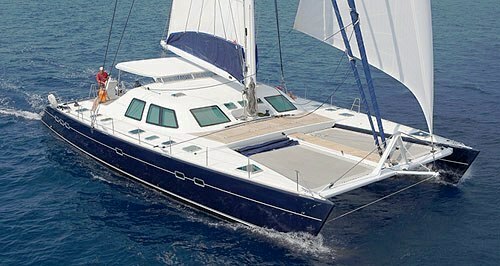 With a professional crew of 3, LEVANTE is the perfect vacation option for friends or families looking for something exotic. 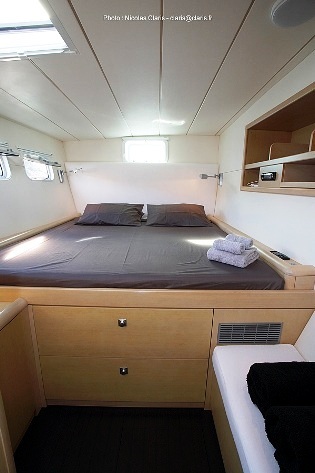 RATES listed are PLUS all expenses which are estimated at approximately 15% of the charter rate. 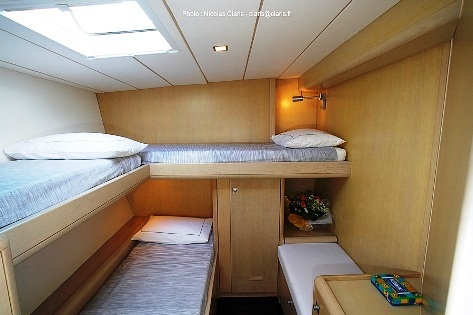 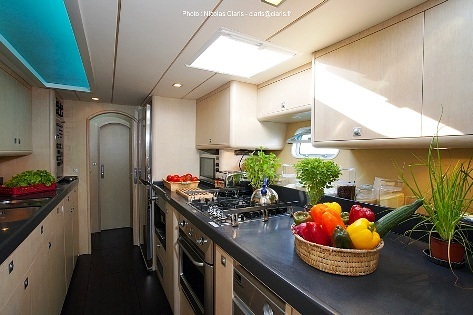 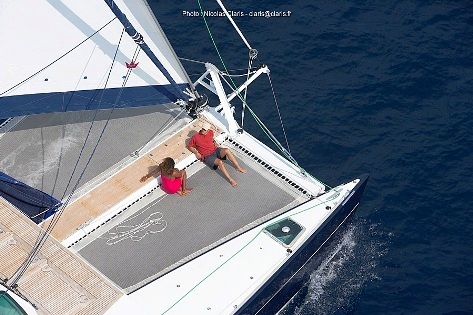 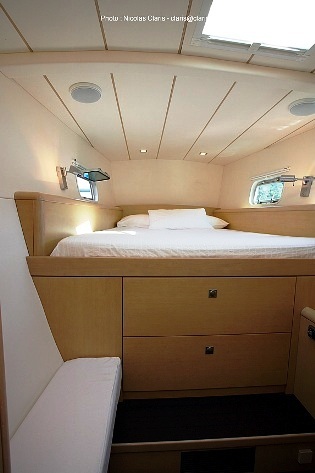 The luxury sailing catamaran LEVANTE has 4 cabins with ensuite heads & showers: 2 king size beds, 1 Queen size bed + 1 triple cabin for children only. 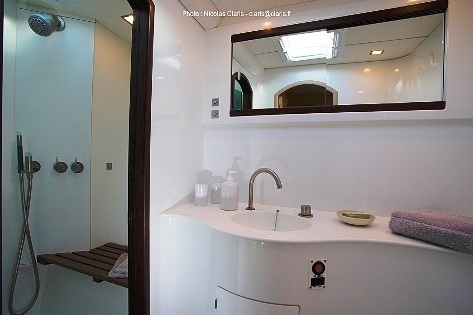 All cabins are air-conditioned with private controls. 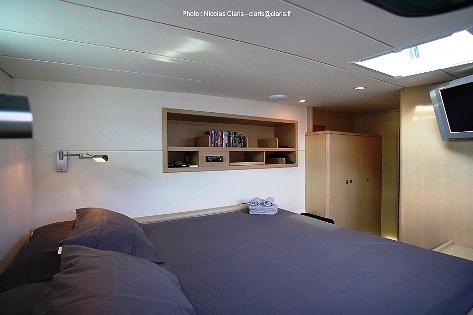 The interior design is modern with Wenge wood, elegant grey & white Egyptian cotton. 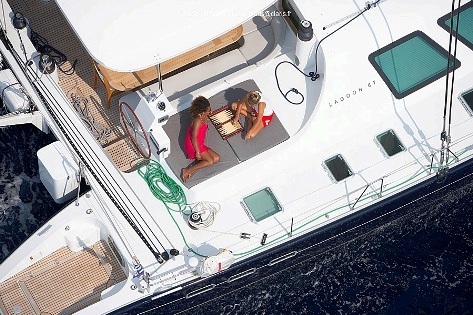 Luxury Sailing Yacht LEVANTE is equipped with two Zodiac tenders: 1 x 17,3' with 90 HP and 1 x 11,3' with 9,9 HP. 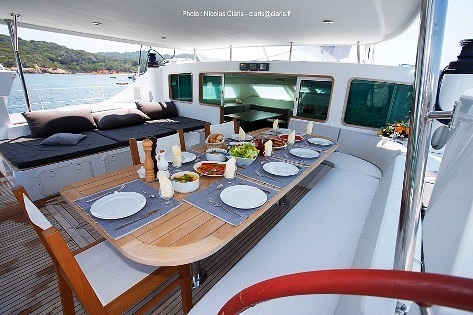 It is also equipped with a full range of water toys including water-ski (bi & mono / children & adults), snorkeling equipment for 6, fishing equipment, swimming ladders, Diving equipment for 4 guests: 4 tanks + 1 compressor Bauer and parlor games. 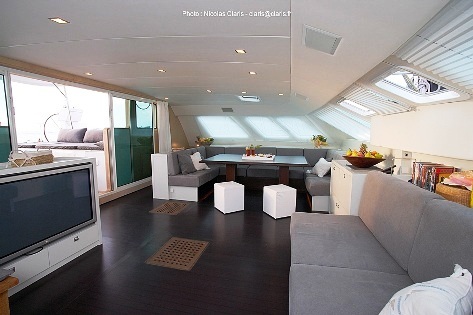 Entertainment facilities onboard include HI-FI set radio & CDs in the saloon & in each cabin, DVD & TV with plasma screen in the saloon & in the master cabin. 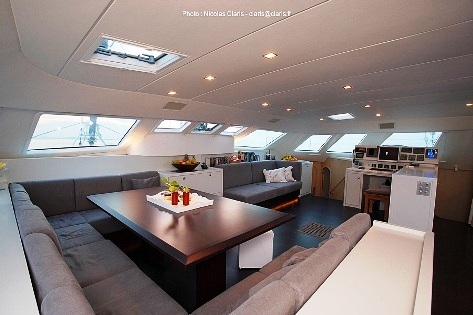 Communication facilities include SATCOM (data, phone, fax).